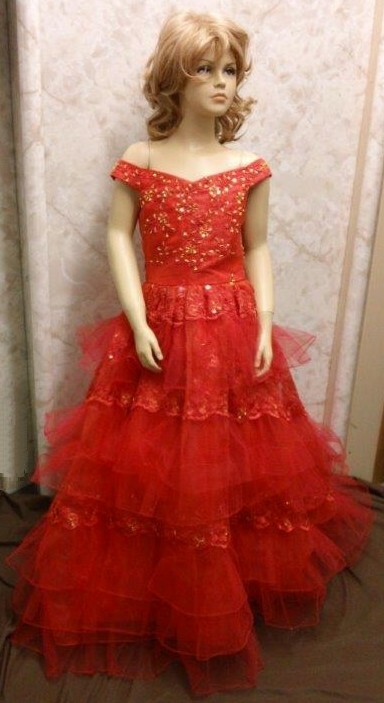 Girls Red Christmas Holiday Dress with train. 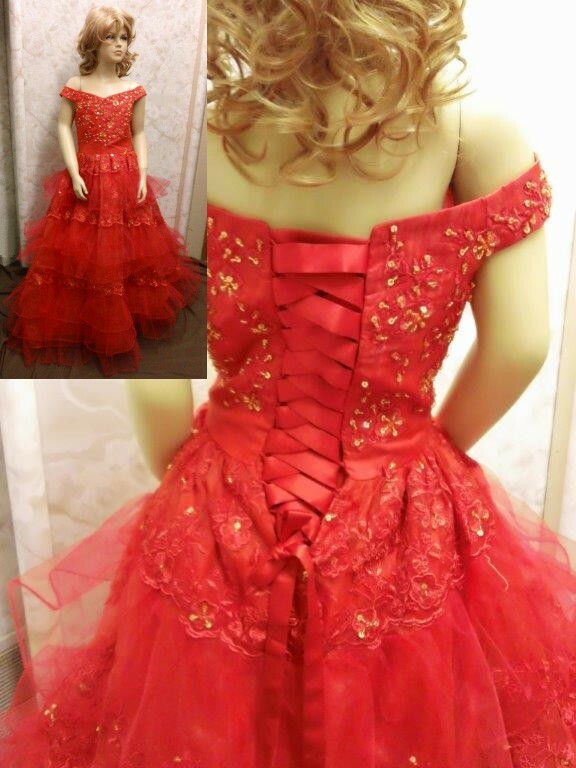 Girls Red Christmas Holiday Dress with train. Clearance priced and in stock and ready to ship. This is the biggest sale in Jak's history. We will have hundreds of dresses up to 70% off. 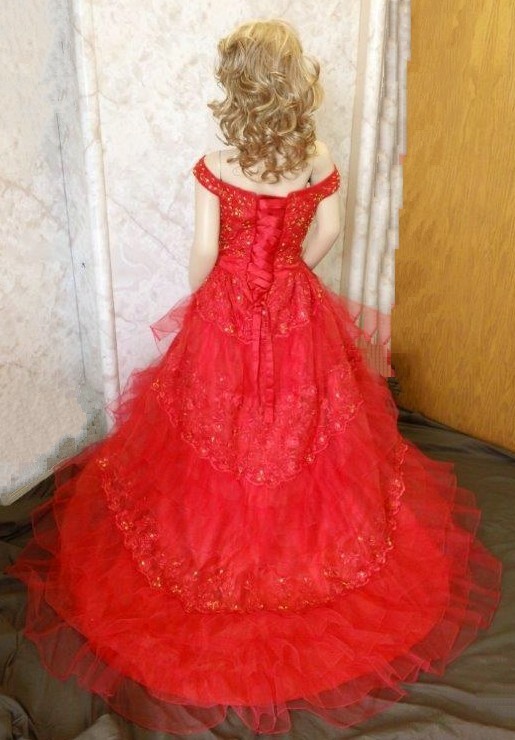 Don't have time to wait to special order your prom or pageant gown? Browse our sample sale rack to find a dress for an affordable price!